Download ETS2 1.34 mods! 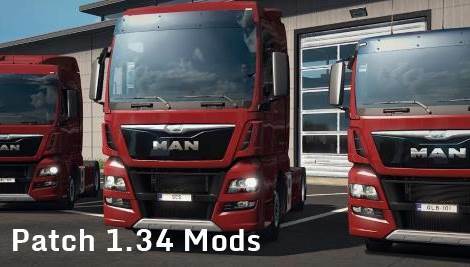 We have the best mods that are adapted for this version here: ETS2 patch 1.34 mods. Make your game experience better with any mods, from trucks, trailers to economy mods for the Euro Truck Simulator 2 game! ETS 2 patch 1.34 didn’t bring a lot of updates. So, most of the patch 1.33 mods work on the current version too. If you want to read more about the new patch, check out the article on our blog: ETS2 surprise update: patch 1.34.